Göring ordered attacks on aircraft factories on 19 August 1940; on 23 August 1940 he ordered that RAF airfields be attacked. That evening an attack was mounted on a tyre factory in Birmingham. 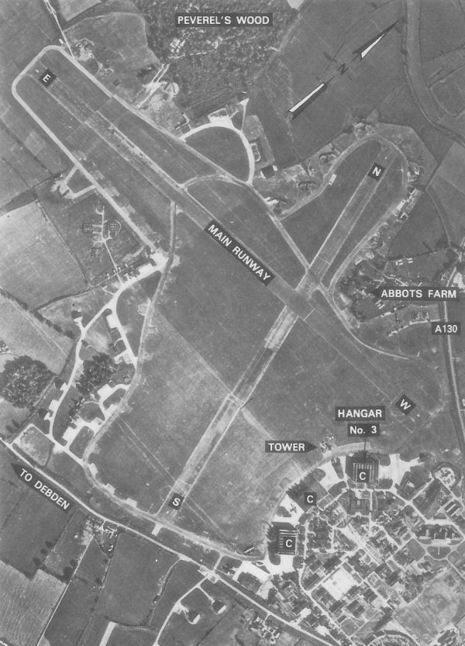 Raids on airfields continued through 24 August, and Portsmouth was hit by a major attack. 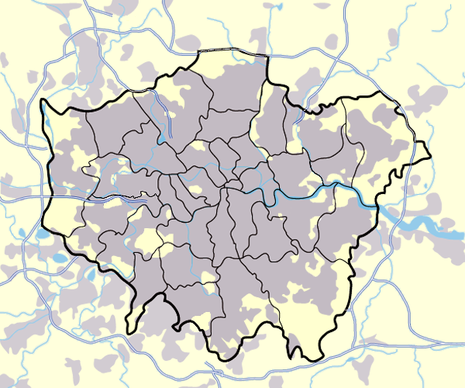 That night, several areas of London were bombed; the East End was set ablaze and bombs landed on central London. Some historians believe that these bombs were dropped accidentally by a group of Heinkel He 111s which had failed to find their target; this account has been contested. In retaliation, the RAF bombed Berlin on the night of 25–26 August, and continued bombing raids on Berlin. Göring's pride was hurt, as he had previously claimed the British would never be able to bomb the city. The attacks enraged Hitler, who ordered retaliatory attacks on London. From 24 August onwards, the battle was in essence a fight between Kesselring's Luftflotte 2 and Park's 11 Group. The Luftwaffe concentrated all their strength on knocking out Fighter Command and made repeated attacks on the airfields. Of the 33 heavy attacks in the following two weeks, 24 were against airfields. The key sector stations were hit repeatedly: Biggin Hill and Hornchurch four times each; Debden and North Weald twice each. Croydon, Gravesend, Rochford, Hawkinge and Manston were also attacked in strength. 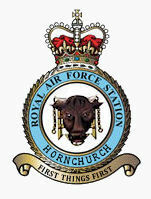 Coastal Command's Eastchurch was bombed at least seven times because it was believed to be a Fighter Command aerodrome. At times these raids knocked out the sector stations, threatening the integrity of the Dowding system; emergency measures had to be taken to keep the sectors operating. The RAF was taking many casualties in the air. Aircraft production could replace aircraft, but replacement pilots were barely keeping pace with losses, and novices were being shot down at an alarming rate. To offset losses, some 58 Fleet Air Arm fighter pilot volunteers were seconded to RAF squadrons, and a similar number of former (single-engine) Fairey Battle bomber pilots were used. Most replacements from Operational Training Units (OTUs) had as little as nine hours flying time and no gunnery or air-to-air combat training. At this point, the multinational nature of Fighter Command came to the fore. Many squadrons and personnel from the air forces of the Dominions were already attached to the RAF, including top level commanders — Australians, Canadians, New Zealanders, Rhodesians and South Africans. In addition, there were other nationalities represented, including Free French, Belgian and a Jewish pilot from the British mandate of Palestine. They were bolstered by the arrival of fresh Czechoslovak and Polish squadrons. These had been held back by Dowding, who mistakenly thought non-English speaking aircrew would have trouble working within his control system. However, Polish and Czech fliers proved to be especially effective. The pre-war Polish Air Force had lengthy and extensive training, and high standards; with Poland conquered and under brutal German occupation, the pilots of No. 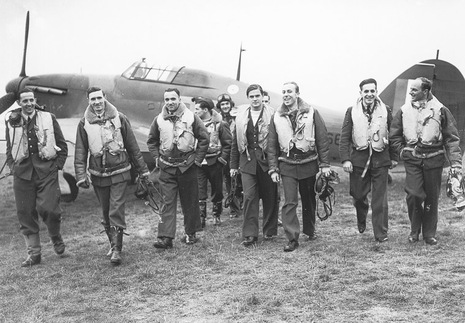 303 (Polish) Squadron, the highest-scoring Allied unit, were strongly motivated. Josef František, a Czech regular airman who had flown from the occupation of his own country to join the Polish and then French air forces before arriving in Britain, flew as a guest of 303 Squadron and was ultimately credited with the highest "RAF score" during in the Battle of Britain. The RAF had the advantage of fighting over home territory. Pilots who bailed out of their downed aircraft could be back at their airfields within hours. For Luftwaffe aircrews, a bailout over England meant capture, while parachuting into the English Channel often meant drowning or death from exposure. Morale began to suffer, and Kanalkrankheit ("Channel sickness") — a form of combat fatigue — began to appear among the German pilots. Their replacement problem was even worse than the British. Though the Luftwaffe maintained its numerical superiority, the slow supply of replacement aircraft and pilots put increasing strain on the resources of the remaining attackers. greatly underestimated the size of the RAF and the scale of British aircraft production. Across the Channel, the Air Intelligence division of the Air Ministry consistently overestimated the size of the German air enemy and the productive capacity of the German aviation industry. As the battle was fought, both sides exaggerated the losses inflicted on the other by an equally large margin. However, the intelligence picture formed before the battle encouraged the German Air Force to believe that such losses pushed Fighter Command to the very edge of defeat, while the exaggerated picture of German air strength persuaded the RAF that the threat it faced was larger and more dangerous than was actually the case. encouraged first complacency, then strategic misjudgement. The shift of targets from air bases to industry and communications was taken because it was assumed that Fighter Command was virtually eliminated. 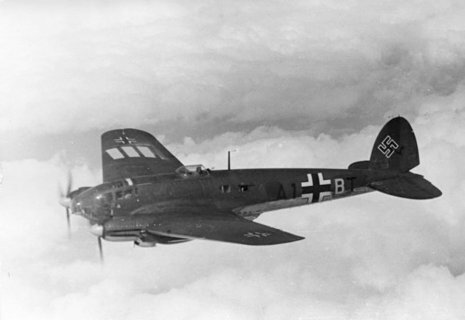 Serviceability rates, which were acceptable at Stuka units, were running at 75% with Bf 109s, 70% with bombers and 65% with Bf 110s, indicating a shortage of spare parts. All units were well below established strength. The attrition was beginning to effect the fighters in particular. By 14 September the Luftwaffe's Bf 109 Geschwader possessed only 67 percent of their operational crews against authorized aircraft. For Bf 110 units it was 46 percent; and for bombers it was 59 percent. A week later the figures had dropped to 64 percent, 52 percent, and 52 percent. Due to the failure of the Luftwaffe to establish air supremacy, a conference assembled on 14 September at Hitler's headquarters. Hitler concluded that air superiority had not yet been established and "promised to review the situation on 17 September for possible landings on 27 September or 8 October. Three days later, when the evidence was clear that the German Air Force had greatly exaggerated the extent of their successes against the RAF, Hitler postponed Sealion indefinitely." However, at the meeting on 14 September, the leadership of the Luftwaffe had persuaded him to give them a last chance to cow the RAF. "The air force chief of staff, General Hans Jeschonnek ... asked Hitler to allow him to attack residential areas to create 'mass panic'. Hitler refused, perhaps unaware of just how much damage had already been done to civilian targets. 'Mass panic' was to be used only as a last resort. Hitler reserved for himself the right to unleash the terror weapon. The political will was to be broken by the collapse of the material infrastructure, the weapons industry, and stocks of fuel and food. On 16 September Göring ordered the air fleets to begin the new phase of the battle. From August 23rd to September 6th, the Luftwaffe started night time bombing raids on cities. The RAF was also badly hit with 6 out of 7 main fighter bases in south-eastern England being put out of action. Biggen Hill was wrecked. However, for all this apparent success, the Luftwaffe was losing more planes than the RAF was - 1000 German losses to 550 RAF.